Numerous recent articles have reported brain gadolinium deposition when using linear but not macrocyclic gadolinium-based contrast agents (GBCAs). 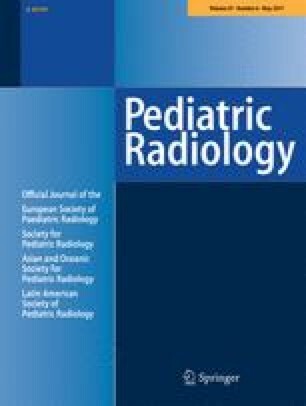 To determine the current landscape of gadolinium use among pediatric institutions and the knowledge base of radiologists and referring providers with regard to GBCAs and brain gadolinium deposition. We e-mailed voluntary closed surveys to 5,390 physicians in various pediatric professional societies between January 2016 and March 2016. We used chi-square and Fisher exact tests to compare response distributions among specialties. We found that 80% of surveyed pediatric hospitals use macrocyclic contrast agents. In the last year, 58% switched their agent, most commonly to gadoterate meglumine, with the most common reason being brain gadolinium deposition. Furthermore, surveys indicated that 23% of hospitals are considering switching, and, of these, 83% would switch to gadoterate meglumine; the most common reasons were brain gadolinium deposition and safety. Radiologists were more aware of brain gadolinium deposition than non-radiologist physicians (87% vs. 26%; P<0.0001). Radiologists and referring providers expressed similar levels of concern (95% and 89%). Twelve percent of radiologists and 2% of referring providers reported patients asking about brain gadolinium deposition. Radiologists were significantly more comfortable addressing patient inquiries than referring pediatric physicians (48% vs. 6%; P<0.0001). The number of MRIs requested by referring pediatric physicians correlated with their knowledge of brain gadolinium deposition, contrast agent used by their hospital, and comfort discussing brain gadolinium deposition with patients (P<0.0001). Since the discovery of brain gadolinium deposition, many pediatric hospitals have switched to or plan to switch to a more stable macrocyclic MR contrast agent, most commonly gadoterate meglumine. Despite this, there is need for substantial further education of radiologists and referring pediatric providers regarding GBCAs and brain gadolinium deposition. The online version of this article (doi: 10.1007/s00247-017-3810-4) contains supplementary material, which is available to authorized users. The authors received funding from the Ann & Robert H. Lurie Children’s Hospital of Chicago, Department of Pediatrics. 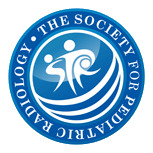 We thank the following individuals at Northwestern University, Ann & Robert H. Lurie Children’s Hospital of Chicago for help with the distribution of surveys to pediatric neurologists, pediatric neuro-oncologists, and pediatric radiologists: Dr. Leon Epstein, Dr. Rishi Lulla, Dr. Jason Fangusaro, and Dr. James Donaldson.